Eaves Housing for Women, a beacon of support for women experiencing gender-based violence, has ceased its operations. It is a deep and profound loss to the women’s sector in the UK. I worked at Eaves from 2005-2007. It was a privilege to work alongside so many brave women – staff and service users alike. It was a fierce baptism of feminist fire – a truly formative time of my life. Denise Marshall, the late Chief Executive of Eaves was tenacious and formidable. She was unbowed in her belief that prostitution constituted violence against women and was unapologetically abolitionist. Her vision and ambition led to a series of groundbreaking projects run at Eaves by and for women: Poppy, supporting women who had been trafficked; Lilith, carrying out research into gender-based violence; Amina, providing mentoring for victims of domestic violence; Alice, a life-skills project for women at risk of, or experiencing homelessness; and the Beth centre, for women affected by the criminal justice system, amongst others. Denise’s vigour and devotion to the cause was inspirational; she certainly ignited the feminist in me, and in many others. 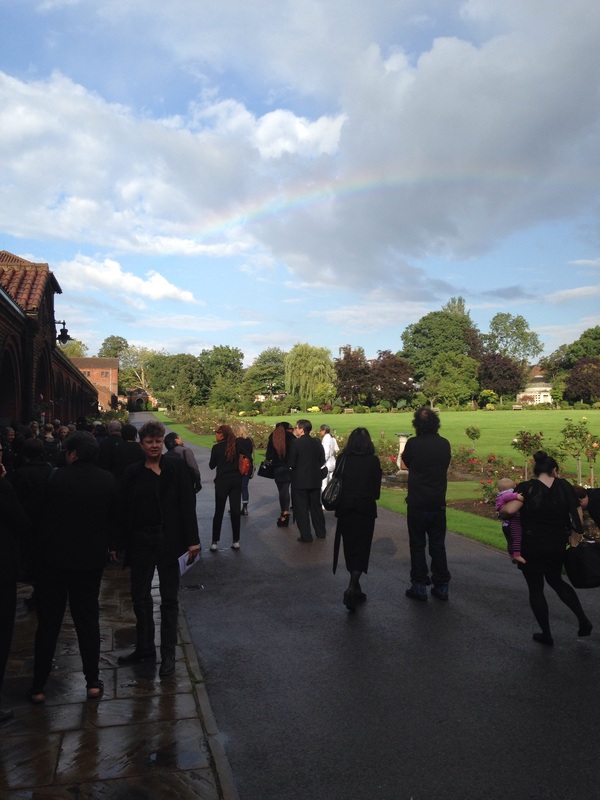 At her funeral last month there was a touching moment when a rainbow broke through the clouds as we came out of the crematorium. It was moving to witness after an emotionally charged ceremony. She always did like having the last word. Violence against women remains pernicious and prolific. Women’s services are experiencing financial cuts and are under intense pressure at a time when they are desperately in demand. The women’s services that remain need our support more than ever. The fight must go on.